On the 22nd of November 2018, MEP Francisco Assis (S&D) addressed the issue of torture of human rights activists detained in Saudi Arabia in a parliamentary question to VP/HR Federica Mogherini and the EU Commission. On the 22nd of November 2018, MEP Francisco Assis (S&D) issued a parliamentary question to VP/HR Federica Mogherini and the EU Commission on the torture of human rights activists in Saudi Arabia, including the women activists arrested in May 2018 who were protesting for more gender equality in the country. 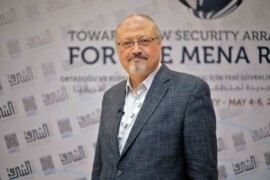 As MEP Assis pointed out, some detainees “have still not been formally charged and have had no access to legal assistance”, and that these barbarities are common and recurring in Saudi Arabia, in violation of international law, especially the Convention against Torture and Other Cruel, Inhuman or Degrading Treatment or Punishment. How does the EU intend to call for the release of these activists, and what impact will these flagrant human rights violations have on EU relations with Saudi Arabia? In a reply to Mr. Assis, VP/HR Federica Mogherini highlighted that the European Union is aware of the reports of the abuses against human rights activists imprisoned in Saudi Arabia, “particularly if perpetrated in state facilities.” Moreover, Ms. Mogherini reiterated that the EU has always given importance to the activity of human rights activists and civil society groups in the context of the reforms undertaken by Saudi Arabia. Therefore, Ms. Mogherini ensures that the EU will persist in making use of its diplomatic tools to address these cases of ill-treatment and to continue its dialogue with the Kingdom. The European Centre for Democracy and Human Rights (ECDHR) welcomes the parliamentary question of MEP Francisco Assis (S&D). We share concerns over the ongoing infringements of human rights in Saudi Arabia and the lack of true commitment to gender equality. ECDHR calls upon the government of Saudi Arabia to put an end to every form of torture against detainees, to the immediate and unconditional release of all of the detained human rights activists, women, human rights defenders and political activists currently detained in the Kingdom. Lastly, ECDHR calls upon the EU to continue pressing on Saudi Arabia for more inclusive reforms. Please find below a full copy of the question of MEP Francisco Assis (S&D). Question for written answer to the Commission (Vice-President/High Representative), submitted by MEP Francisco Assis (S&D) on November 22 2018. According to reports by Amnesty International, a number of human and civil rights activists recently detained in Saudi Arabia are being subjected to torture, including electrocution, flogging and sexual abuse. These activists include a group of women who were fighting for their right to drive and were arrested in May 2018, shortly before the Saudi authorities lifted the driving ban. Some of the detainees have still not been formally charged and have had no access to legal assistance. The UN High Commission for Human Rights has already voiced its concern regarding the case. Such barbaric practices are commonplace in Saudi Arabia, in clear violation of its obligations under international law, including the Convention against Torture and Other Cruel, Inhuman or Degrading Treatment or Punishment. The EU is sparing no effort to engage with the Saudi authorities seeking clarification on the circumstances surrounding the arrests of human rights defenders in Saudi Arabia since May, notably with regard to the specific accusations brought against them. In particular the EU has repeatedly emphasised the relevance of the work of human rights defenders and civil society groups in relation to the process of reform which the Kingdom is pursuing as well as the importance of respecting due process for all the individuals arrested.